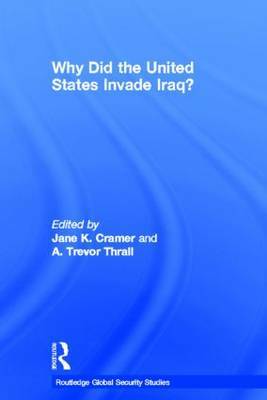 This edited volume presents the foremost scholarly thinking on why the US invaded Iraq in 2003, a pivotal event in both modern US foreign policy and international politics. In the years since the US invasion of Iraq it has become clear that the threat of weapons of mass destruction was not as urgent as the Bush administration presented it and that Saddam Hussein was not involved with either Al Qaeda or 9/11. Many consider the war a mistake and question why Iraq was invaded. A majority of Americans now believe that the public were deliberately misled by the Bush administration in order to bolster support for the war. Public doubt has been strengthened by the growing number of critical scholarly analyses and in-depth journalistic investigations about the invasion that suggest the administration was not candid about its reasons for wanting to take action against Iraq. This volume begins with a survey of private scholarly views about the war's origins, then assesses the current state of debate by organising the best recent thinking by foreign policy and international relations experts on why the US invaded Iraq. The book covers a broad range of approaches to explaining Iraq - the role of the uncertainty of intelligence, cognitive biases, ideas, Israel, and oil, highlighting areas of both agreement and disagreement. This book will be of much interest to students of the Iraq War, US foreign and security policy, strategic studies, Middle Eastern politics and IR/Security Studies in general.